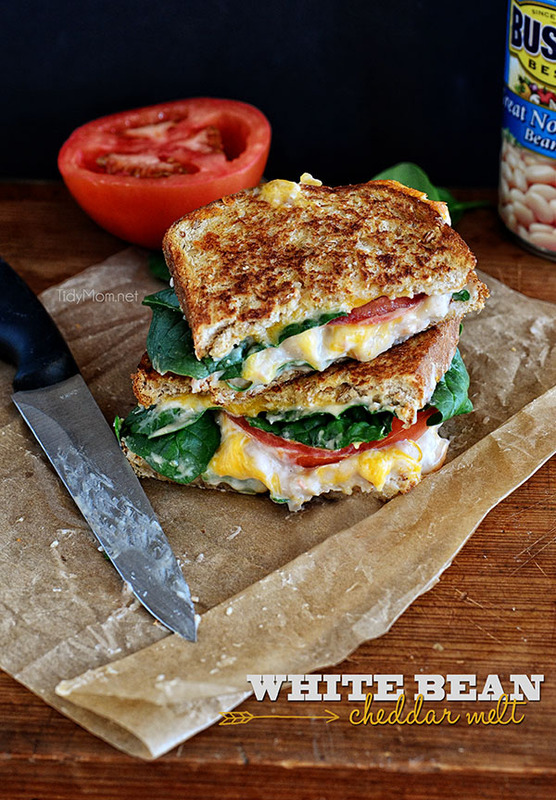 The addition of a creamy white bean spread, tomatoes, and spinach kicks up a simple grilled cheese sandwich into something special, White Bean Cheddar Melt. The other day I was craving a hot delicious sandwich for lunch and thought I’d make a grilled cheese…..but that seemed a little boring when I remembered seeing a recipe for White Bean Cheddar Melt on the Bush’s Beans website. Lucky me, I had some Bush’s Great Northern Beans ( also available in Reduced Sodium) in the pantry and decided the addition of tomato and spinach would surely turn this little vegetarian sandwich into a gourmet grilled cheese. This isn’t your ordinary grilled cheese sandwich. It’s kicked up a notch with a white bean spread before being filled with cheddar cheese. Then, of course, grilled on the stovetop for just a couple of minutes to get that cheese nice and melty. You could stop there…..that’s how my husband wanted to eat his (he’s a simple man), but I quickly opened my hot buttery toasted sandwich and topped it with fresh spinach and a few slices of tomato! Oh MY WORD! This sandwich was a little messy (the best food usually is) and was even better than I expected! It’s become one of my favorite’s for lunch – grilled cheese perfected. 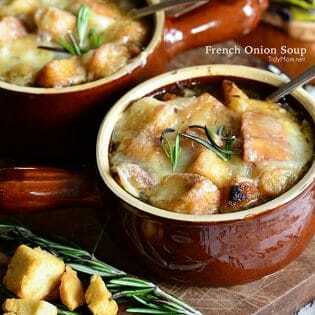 Next time I think I’ll try it with smoked provolone and a bowl of French Onion Soup or Roasted Tomato Soup. That my friends, is a satisfying meatless meal you can count on any day of the week. What’s your favorite way to eat grilled cheese? Brush butter on outer side of each slice of bread. Add half of the beans to a bowl and mash gently with a potato masher or the back of a fork. Stir in remaining whole beans. Add the mayonnaise, celery, and salt; mix together. Spread evenly on the inner side of 4 slices of bread. Sprinkle evenly with cheese and top with remaining slices of bread, buttered side facing up. Using a skillet, grill on both sides. 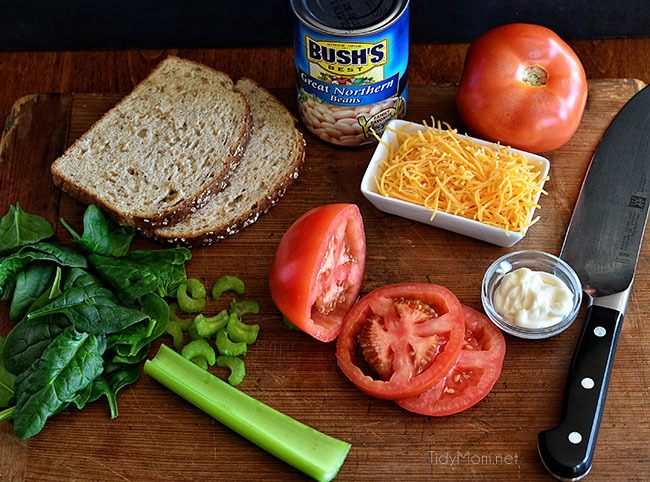 Remove from skillet and place on cutting board; carefully pull sandwiches open and layer with spinach and tomato slices. Disclaimer: I grew up in a house that used Bush’s Beans. I am now fortunate to have an ongoing relationship with them as a brand ambassador. This post is sponsored by Bush’s Beans, but as always, all opinions are my own. Now that is one awesome looking melt – pinned! Thanks so much for the party Cheryl! Thanks so much for hosting, Cheryl, and that cheddar melt looks so tasty. Mmm, that cheddar melt looks delicious! My husband and I love making “gourmet” grilled cheese- our fave is to add caramelized onions and sweet peppers with smoky gouda or strong cheese. Thank you for sharing and hugs for hosting tonight’s party, Cheryl. This looks so good Cheryl!! thanks for the party, Cheryl! Have a super weekend! Oh that sandwich looks amazing!! Thanks so much for hosting! That is a great looking melt! I LOVE, love grilled cheese! This looks amazing, Cheryl! I can’t wait to try it! Thank you so much for the party, Cheryl! Have a great weekend!!!! thank you so much for the party 🙂 happy Superbowl weekend! Thanks for hosting! Your sandwich look delicious! oh my gawd, I love this! Beans in a grilled cheese! Brilliant! Thank you, thank you, THANK YOU for the link love! Thanks so much for hosting, Cheryl! 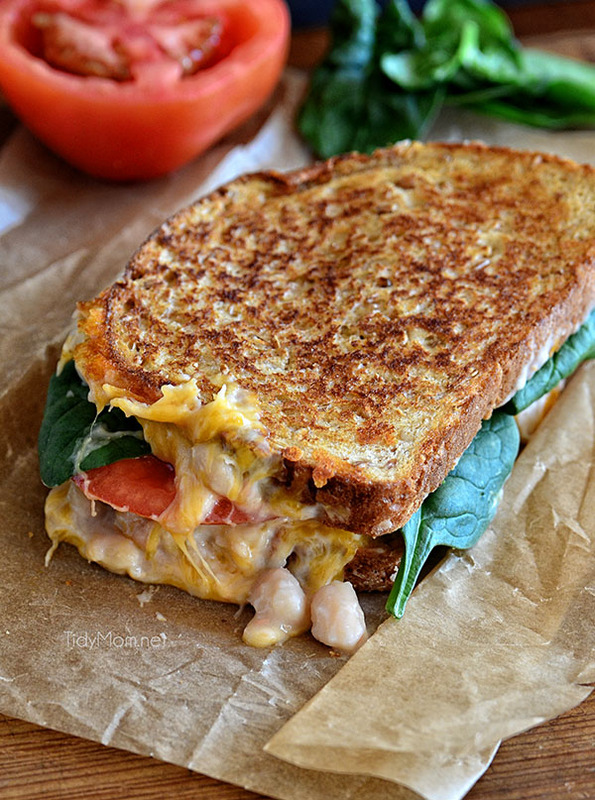 You’re white bean cheddar melt looks amazing! For some reason, lunch ideas are tricky at our house. This one looks like a hit. Thanks so much for sharing! Enjoy your weekend! 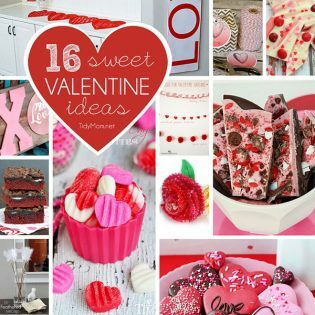 That looks so good…and pretty, and colorful!! Love the use of beans on a toasted sandwich. It looks great! 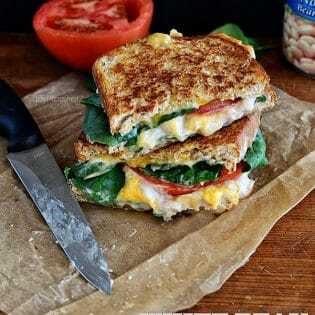 Loving the healthy addition of beans in your grilled cheese Cheryl! This sandwich was delicious……just made it tonight.